Situated on the western side of Eyre Peninsula, facing beautiful Blancheport, a bay within the greater Streaky Bay with beautiful views, the Streaky Bay Hotel offers accommodation to suit all budgets. At the top end of our accommodation offer are the 4 rooms on the balcony. These rooms are beautifully appointed featuring double french doors leading directly onto the balcony. 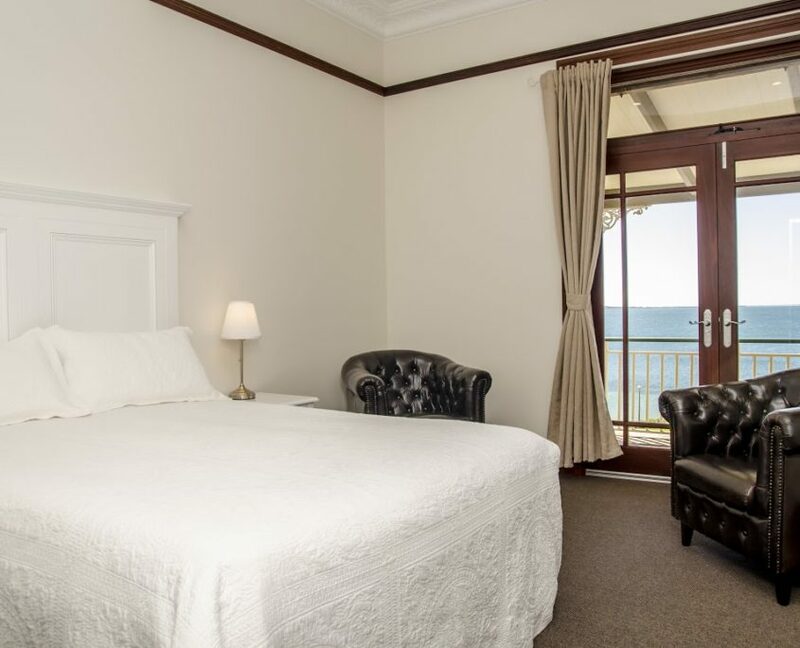 Ideal for a multi couple 2 night getaway (enquire with reception for our getaway offer), taking advantage of the spectacular bay views. These rooms each have 1 bed only, the Luxury Executive Balcony Room, the best room in the house has a King Size Bed with Queen Size beds in the other three Luxury Balcony Rooms, making them inappropriate for children. Our Motel section has a total of 23 rooms, the 20 renovated Superior Motel Rooms and the Standard Motel Rooms that will be completed by July. The configuration of these rooms is one queen and one large single bed. Ideal for coaches and travelling groups, enquire with reception for coach accommodation/meal packages. We also have a wheelchair friendly disabled room which can be configured with a king size bed for the self sufficient or 2 king singles in the case of a carer. There are 6 hotel rooms upstairs in the Hotel section ranging in configuration and price, they each have en-suites, enquire with reception for details. On the ground floor in the Hotel, we offer 5 budget rooms, again with varying configurations these have shared bathroom facilities and start at $50 for a single person. All guests have continental breakfast included in their tariff. This is served daily between 7am-9am in the Anchor Bistro. Reception hours are Monday to Friday 7am-6pm and Saurday and Sunday 7am-12noon. “The Best Room in the House”, this stunning room has been completely restored. The French Doors open up to the balcony with breathtaking views of the Streaky Bay Jetty, foreshore and the Township. 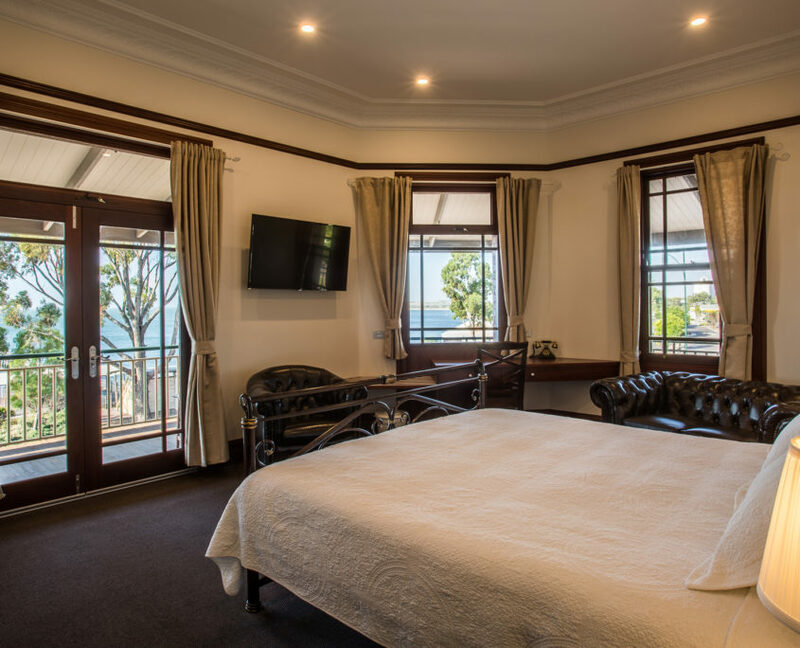 These beautifully restored rooms have French Doors accessing the balcony overlooking Streaky Bay Jetty and foreshore. 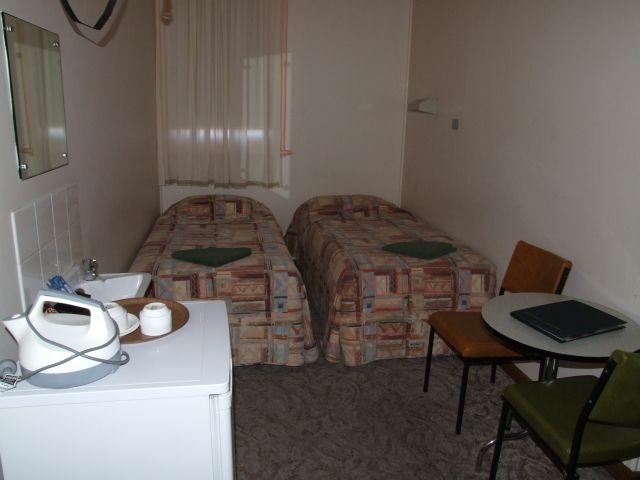 These rooms are located at the rear of the Streaky Bay Hotel, with modern facilities. 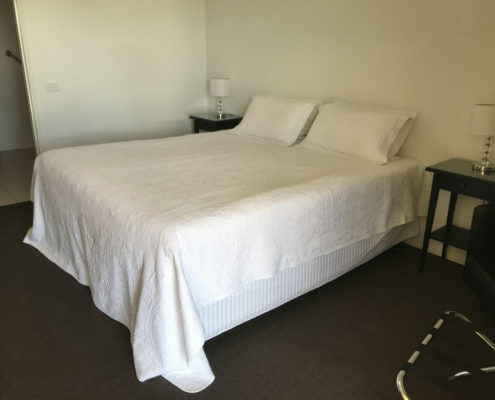 Built to Australian Standard specifications the disabled room provides a perfect environment for the self-sufficient disabled guest or guest and carer. Configuration of sleeping arrangement is either king bed or this can be separated into two singles. 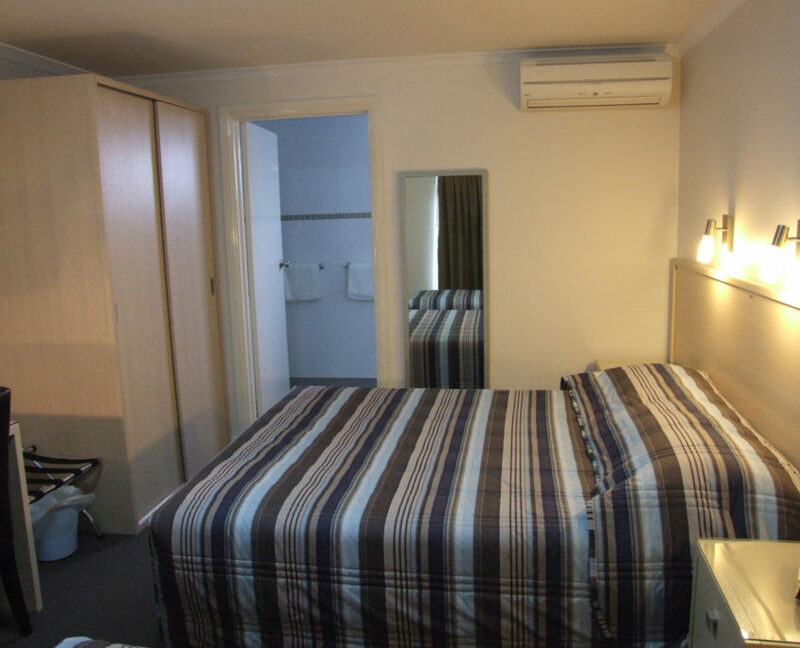 This room is located at the rear of the Streaky Bay Hotel on the ground floor. Located upstairs these old-style Hotel rooms come in a variety of configurations.